If you want to buy a house in Nashville, TN, get ready to pay big bucks. The median price of a house in Nashville, TN has reached an all-time high, costing about $34,000 more this year compared to last. News 2 spoke to some Nashville realtors who explained some of the challenges in the current housing market. “[It’s] tight inventory, not very many houses for buyers to look at and pursue. A lot of homes will sell before they hit the market. So, that makes it even tougher for the buyer to find a property,” explained Greater Nashville Realtors President, Scott Troxel. 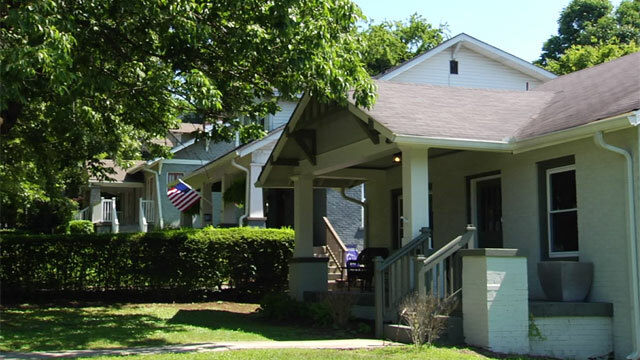 Realtor Nina Lampley listed an East Nashville home last week. She showed it this past weekend and already has two interested buyers. Lampley told News 2 that right now sellers have all the power in Nashville. “I set a record for a large home over here. We sold a 2,900 square foot home with no garage, which is unheard of, to hit over $700,000 in that price point, so we hit $711,000 with multiple offers. We had four offers,” she said. Mother of three, Heather Wood and her husband moved to East Nashville about four years ago from San Francisco. She told News 2 they paid about $450,000 for their three bedroom, two bathroom house. “Houses that are half this size that really need a lot of work are creeping up to be that price, too. Then you see others going for $6, $7, $800,000; not a ton of them, but then you go, ‘Wow, that’s how it would have been in San Francisco,’” said Wood. Realtors expect home prices to stay high for at least a couple more years. Right now a newly-listed house stays on the market an average of 25 days in Nashville, TN.